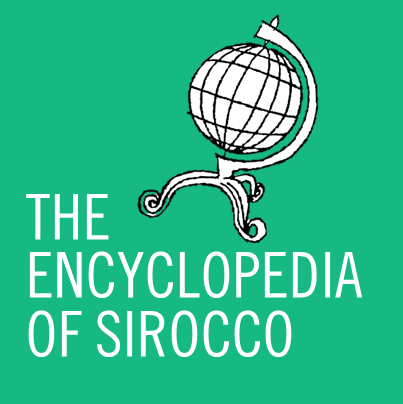 CLASSIFIED: Sirocco’s new media ratings will replace the older system used by the former Office of Film and Broadcasting Classification (OFBC). Alston, CA, Dec 12 – The Ministry of Communications has revealed its new set of media classifications to be used by the Departments of Film and Broadcasting Classification (DFBC) and Literature and Print Classification (DLPC). The new classifications, which will replace the older classifications used by the former Office of Film and Broadcasting Classification (OFBC), expand the number of possible ratings for visual media and allow for literature classification for the first time. The DFBC gains new 15 and 18 ratings, which restricts content labelled as such to the age shown. 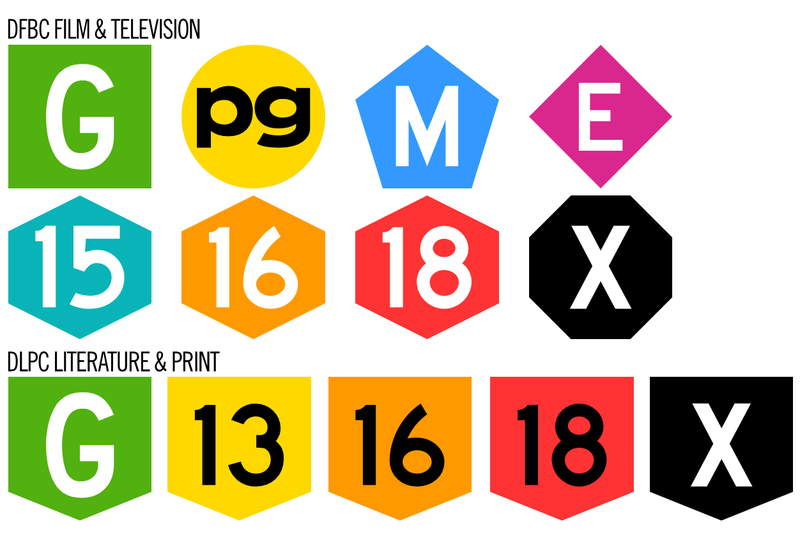 Restricted ratings (15 to X) are identified with hexagons for the 15, 16 and 18 ratings, and as an octagon for X ratings. These ratings will be applied to all broadcast media within Sirocco, including DVDs and cassette tapes, and will also notably apply to video games, albeit without the E and X ratings. The former R (Refused Classification) rating is dropped, however, after being deemed unnecessary for prohibited content banned from the country. The DLPC adopts G, 13, 16, 18 and X ratings. DLPC ratings can be identified by using a uniform shield system, unlike the varying shapes of the DFBC. The DLPC’s classifications will only need to be displayed on printed material if it is rated as 18 or X – those rated from G to 16 do not need their ratings displayed, but will be logged with the Department for reference. 18-rated content will replace content considered too extreme for the former 16 rating but not strong and/or explicit enough for the X rating. X-rated material, as in the OFBC system, denotes extreme content, usually (but not always) of a pornographic nature. Classified media rated by the former OFBC will only be reclassified if it is deemed that the former rating is either too harsh to too soft; content not needing reclassification will adopt the equivalent of the OFBC system. The old OFBC ratings will cease to be issued from Sunday, 15 December, at which time the new ratings will take over. E: Exempt from classification. Not applicable to video games. G: Suitable for general exhibition. M: Contains material suitable for a mature audience. 15: Restricted to persons aged 15 years or over. 16: Restricted to persons aged 16 years or over. 18: Restricted to persons aged 18 years or over. X: Extreme and/or pornographic content, restricted to persons aged 18 years or over. Not applicable to video games. 13: Restricted to persons aged 13 years or over. X: Extreme and/or pornographic content, restricted to persons aged 18 years or over.